Jim's keynote speech will continue with the theme of his highly-acclaimed book, Modern-Day CIO. The speech will focus on how we need to think differently about data management to be modern; how we can use data management to enable data-driven cultures; how we should use data to enable AI and how we need to better protect our data in the future we are entering. Before retiring from Microsoft in September 2017, Jim was the CIO for the last 4 years helping to drive the dramatic transformation of the Satya Nadella era at Microsoft. Jim's total career at Microsoft lasted almost 25 years with experience in product groups, and every leadership role in IT ranging from application leadership, to infrastructure, to security. Jim held international roles based in Tokyo running IT for Asia, and in London running IT for Europe, the Middle East and Africa. Today Jim is a technical advisor to several startups, an active angel investor, a board director for public companies and non-profits, and an author of a book in the Six Word Lessons series as well as Think Like a Modern-Day CIO. Greg Norden is Senior Manager of Analytics Data Management for Boeing Global Services. His team is responsible for providing the data and analytics environment to support analytics efforts across Boeing. His previous jobs include Reliability Review Board Manager for Commercial Airplanes, Commercial Airplanes Field Service Operations Manager, Field Service Regional Director, and Field Service Representative and Stress Engineer. How a data management organization needs to be ready to serve the needs of analytics use cases which can vary from re-purposing data to extract new value to being sure the data being used is correct for the task. Greg will also cover some of the challenges and solutions in dealing with varying data sets. Ryan Schmierer is a recognized industry thought leader in the areas of Digital Transformation, IT Strategy, Service Management and Operations. He is an accomplished Business and Enterprise Architect with over 15 years of experience working with leaders across diverse business functions to translate business strategies into architectural visions and implementation roadmaps. 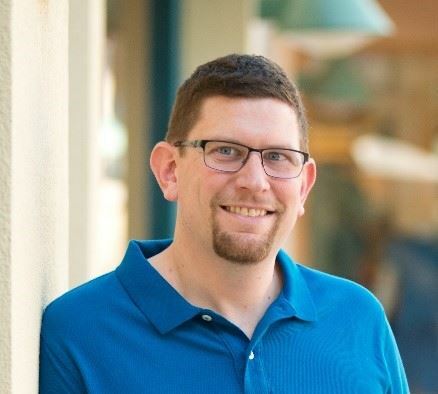 Ryan has nearly 20 years of experience in the Technology industry working with leading companies in the areas of IT infrastructure deployments, service management, application development, support & maintenance, sourcing strategy, acquisition integration and process optimization. He is formerly the Business Architect and Director of Business Programs for corporate IT at Microsoft and before that spent 14 years with Cisco Systems as a Business Architect and Project Manager. 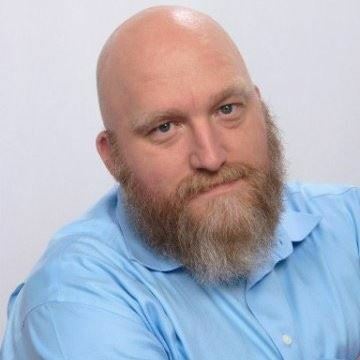 Ryan is a contributing author of The Open Group IT4IT Reference Architecture industry standard and is a recognized speaker and writer on topics of IT Transformation and Emerging Trends in Service Management, Enterprise Architecture and Business Strategy. Ryan holds a Masters in Business Administration from the University of North Carolina at Wilmington and professional certifications in business architecture, business analysis and project management. Technology and Process are Disposable - Data is the Real Asset Driving Competitive Advantage for Modern Companies. The proliferation of 3rd party and SaaS software with OOB business processes is making data the only IT asset modern companies really have. 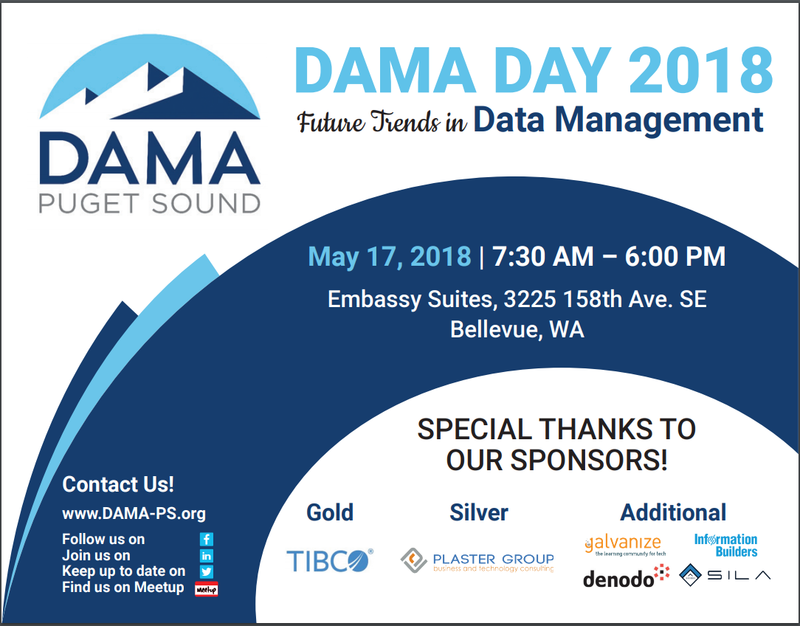 Ryan will explore the evolving role of data in the enterprise and what the changes mean for data management professionals like you. Wee Hyong Tok is Head of AI Innovations and Prototyping, and part of Microsoft’s AI and Research (AI & R) group. He leads a multi-disciplinary team (consisting of data scientists, engineers and program managers). His team focus on advancing the state-of-art in deep learning capabilities. In addition, he leads the engineering and data science team for Microsoft AI for Earth Program. Wee Hyong has worn many hats in his career - developer, program/product manager, data scientist, researcher, and strategist, and his range of experience has given him unique super powers to lead and define the strategy for high-performing Data and AI innovation teams. Throughout his career, he has been a trusted advisor to the C-suite, from Fortune 500 companies to startups. Prior to his current role, Wee Hyong is part of the SQL Server team, responsible for product management for SQL Server Integration Services (SSIS), and Azure Data Factory, and has shipped multiple versions of SSIS from 2008 to 2013, and is part of the founding team responsible for the ideation of Azure Data Factory, and taking it from incubation to shipping as an Azure Service in 2015. Wee Hyong is also an affiliate professor with the University of Washington, where he teaches data science courses. He co-authored several books on artificial intelligence – including the first book on “Predictive Analytics Using Azure Machine Learning”, and “Doing Data Science with SQL Server”, and is currently working on an upcoming book on deep learning. Harish Rao joined Boeing in November of 2013. He is responsible for developing analytics and information management capabilities, growing the required skills and delivering analytics solutions to improve productivity and enable revenue generation for Boeing and its customers. 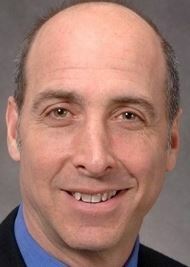 He is also responsible for providing data management services to the Boeing enterprise. 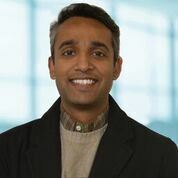 Previously, Rao worked as Director of Information Management, Analytics & Global Architecture for Information Technology Enterprise Architecture. In this role he executed the enterprise analytics charter, mission and strategy and implemented the Advanced Analytics Competency Center to provide centralized technical capabilities for analytics services across Boeing. Rao has more than 22 years of experience delivering innovative analytics based solutions to strengthen competitive advantage for fortune 50 companies such as Walgreens Boots, GE and Allstate Insurance. He has a strong track record in setting and executing strategic direction that enhances productivity and decision making while significantly reducing cost and improving top line results. 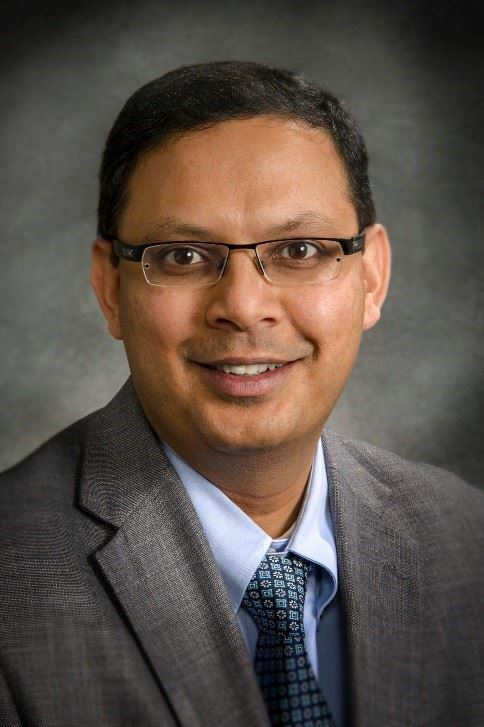 Prior to Boeing, Rao was the Senior Director of Business Intelligence/Data Warehouse strategy, enterprise architecture, master data management and enterprise data governance at Walgreens Boots. In this role he led an enterprise analytics strategy enabling delivery of over $1B in top line growth. Rao received a Bachelor of Science in Information Science and Technology from Bangalore University, Bangalore, India; and attended the Harvard Mentor Program in Leadership and Management. Summary: How can a company use Artificial Intelligence and other new technologies to drive change and show results? Harish will provide a framework and show how adoption of Digital Transformation in supply chain domain has resulted in great value for The Boeing Company. Modern business is fluid. Critical business events must be responded to when they occur. Delays mean lost opportunities and sub-optimal outcomes. Modern analytics must be as agile as the business itself. The days of looking at your data in the rear-view mirror are coming to an end. We are at the dawn of a new analytic revolution: the real-time database. Millisecond latency is the new analytic performance standard. A new class of GPU-accelerated databases enable this level of performance. GPU-accelerated databases are over 100x more performant than even the “fastest” in-memory data stores. GPU-accelerated databases can provide extreme levels of scalability without negative performance impacts. They are also easy to implement; thanks to their use of ANSI-standard SQL and hybrid visualization capabilities. This makes them particularly attractive for some of the most demanding analytic tasks; like scoring of predictive models, and geospatial visualizations. Ray Nath has over 17 years of experience in defining data strategy, implementing best practices in governance, and executing data management programs for large enterprises. He is currently the Vice President of Data and Analytics practice for LiquidHub (a Capgemini company), focusing on combining research, design, architecture, and technical expertise to transform his customers’ businesses. He is a certified 6 Sigma Black Belt from General Electric where he spent several years in transforming their Financial Services business. 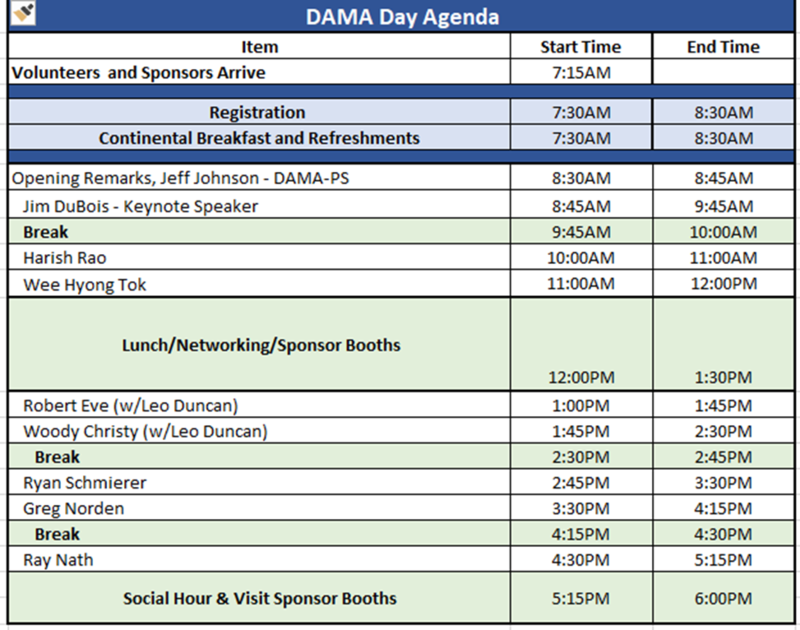 Ray has defined a unique framework for simplifying data classification called FORUM, which he will be sharing with the DAMA audience, around the pillars of structural planning and factual analysis. His goal is to templatize metadata management to demystify it for the business, allowing for better ROI on insights. Robert (Bob) Eve is a Senior Director and Data Intelligence evangelist at TIBCO Software. Bob joined TIBCO when Cisco Data Virtualization (formerly Composite Information Server) was acquired in November 2017. Bob was CMO at Composite where he helped define the data virtualization category and co-authored the first book on Data Virtualization, Data Virtualization: Going Beyond Traditional Data Integration to Achieve Business Agility. Bob has held executive leadership roles at Oracle, PeopleSoft, Mercury Interactive and more, spanning product development, alliances, business development, and marketing. Bob holds a BS degree is from UC Berkeley and an MS from MIT. Leo Duncan began his analytic journey indirectly; he was a financial analyst with a particularly challenging problem to solve. Doing so quite literally changed the quality of his life. He’s been an analytic evangelist ever since. 18 years have passed since that original challenge. Leo has worked in various consulting and engineering roles during that time. Leo’s background includes: BI, data warehouses (ROLAP/OLAP/MOLAP), OLTP, ETL/data integration/data virtualization, Big Data, predictive analytics, machine learning, AI, and real-time/streaming platforms. Leo is currently the Analytics Practice Manager for Nordisk Systems. His consulting teams help clients to succeed with projects across the entire analytic spectrum.